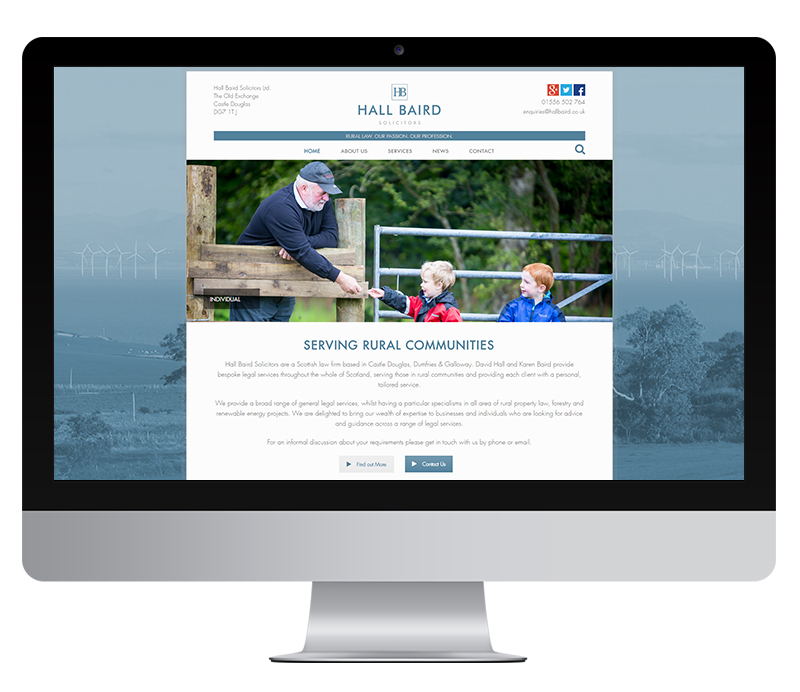 Dumfries and Galloway based Hall Baird Solicitors approached us to create a new visual identity and website for their startup business. We were tasked with designing a logo that looked established and professional, but also had a fresh contemporary feeling that reflected how they wanted to present their business and indeed how they want to be seen to be doing business. 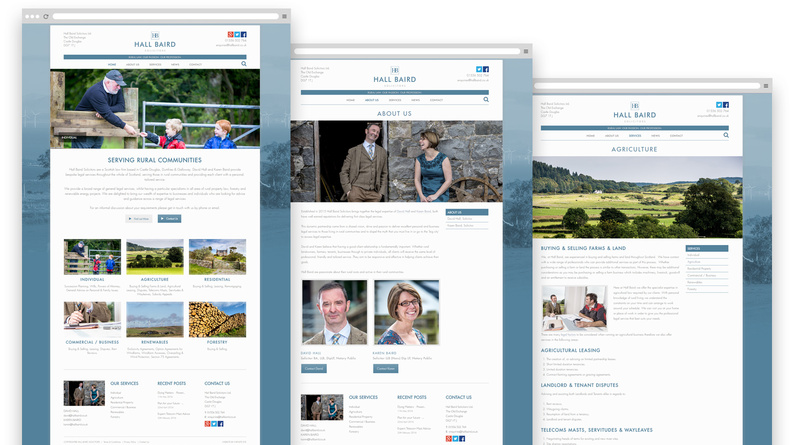 Following the logo design phase we designed and built a content managed website that reinforced their sales message and helps to present a professional and polished front to new customers. A strong visual identity is critical to how a business is perceived, and getting this right is all the more important for a start up business. We worked closely with Hall Baird Solicitors to create a fresh but solid and reliable logo design. We set up a brand new business and from our very first meeting with Infinite Eye, we knew that they just “got” us and what our business was about. Throughout the whole process they were all friendly and patient with us. They helped us to build a brand and a website that we are really very proud of. Our website is our world wide web face, and all at Infinite Eye helped us to show our best side to the world!